They say desperate times call for desperate measures, but this isn't one of those times. 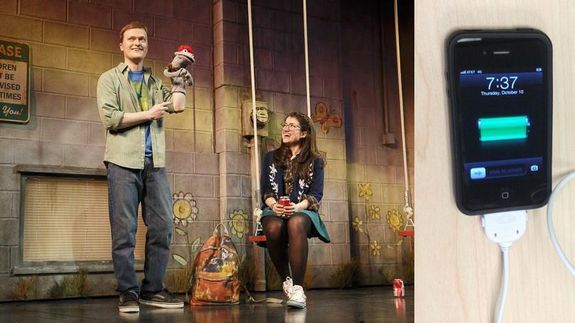 An audience member at the Booth Theatre tried to charge his iPhone on the set of Hand to God by jumping up on stage and plugging it into the set's outlet. The set may look real, but the outlet was of course a fake prop. According to Playbill, the set crew had to stop the music, unplug the phone and make an announcement as to why it was a terribly foolish idea.